Your second-grade class pet is beginning to sound a lot more menacing. A new study out of Michigan State University shows that hermit crabs show cannibalistic tendencies, because apparently, nothing tastes better to a crab than its recently fallen comrade. Everyone's favorite crustacean, it seems, is secretly Hannibal Lecter. In the two-experiment study, zoologist Mark Tran sought to figure out how hermit crabs react to a dead member of their group: Do they rush toward the newly available food source? Or do they run away in fear of the predator that probably killed their buddy? To the scientist's surprise, it was the former. In the first experiment, Tran put two species of hermit crabs in a tank together. Playing the ruthless god, Tran selected a male crab each day of the experiment to kill and emulsify. He then put the crab's remains back in the tank, at which point members of both species exhibited what Smithsonian magazine calls "enthusiastic foraging behaviors." That's unnerving. But it's not unusual. Although most humans have taboos surrounding cannibalism, it's fairly common throughout the animal world. Even chimpanzees, humans' oldest living relatives, snack on their fallen. Because hey, when it's survival of the fittest, it doesn't make much sense to pass up food. Still, hermit crabs do discriminate somewhat when it comes to eating their families. In Tran's second experiment, he killed one crab for each trial without emulsifying it. He then put one other crab in a tank with the dead crab's body to watch its reaction. Just one living crab showed a hesitation to eat the corpse – maybe they were buddies? – but the rest ate their dead crab as expected. However, if the dead crab was a member of their own species, diners were slower to approach the body and spent less time eating it. 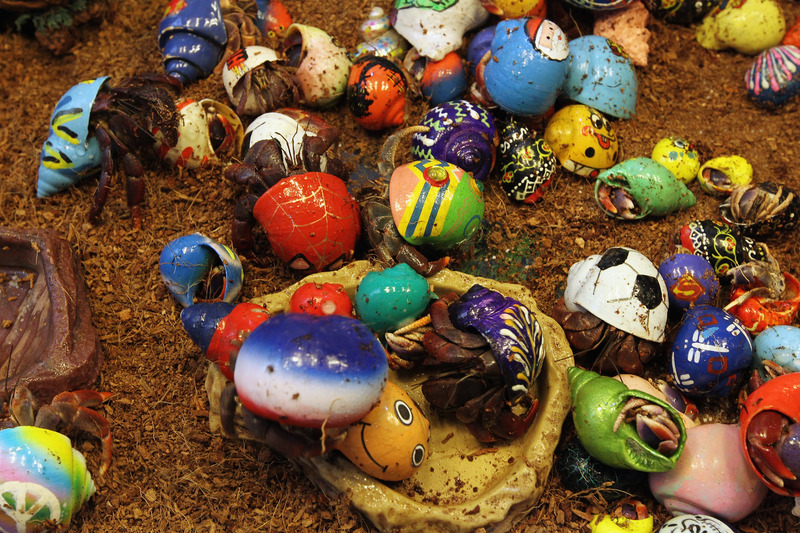 In the world of hermit crabs, no body is sacred. But maybe if you're related to the group, your friends will be more polite about eating you.